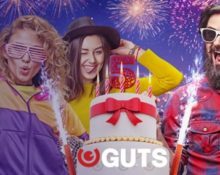 Guts Casino – 5th Birthday Bash! 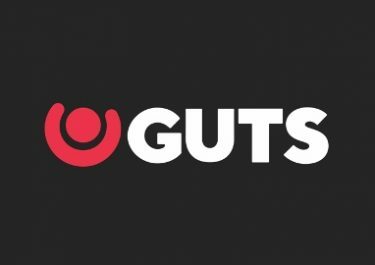 Guts just turned 5! Congratulations to the creative team that has turned this casino into a players’ favorite within a few years. And as usual, they are partying in style over two months after which one lucky player will take home €100K in pure cash. Plus there are lots of iPads and iPhones up for grabs. Let’s get the party started! Fancy a €100,000 party favor? And that in cold, hard cash? Then join the 2-months long celebrations for the 5 Year Anniversary of Guts Casino and you could be the lucky Guts-omer taking home the dosh. Earn tickets to this special prize draw until 22nd July 2018 by playing your favorite games in any segment on the Guts site, be it Casino, Live Casino, Sports or Poker. Players from following territories are not eligible for this promotion: Albania, Azerbaijan, Belarus, Bosnia and Herzegovina, Croatia, Georgia, Romania, Ukraine, Russia, Serbia, Slovakia, Latvia, Lithuania, and Thailand. Terms and conditions apply. OPT-IN on the promotion page is imperative to be included in this campaign. 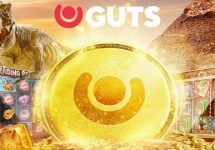 Players will get one weekly raffle ticket for wagering a minimum of €/$10 with cash bets in the Casino and/or Sportsbook (In-Play/Live Bets) and/or producing a rake of €1 in poker cash games and/or paying a €1 tournament fee and/or €1 in the Casino in Poker Turnover in any week during the qualifying period, up to 10 tickets per player per week. Accumulated tickets will go into two pre-draws on 25th June 2018 and 23rdJuly 2018, where 5,000 tickets will be randomly selected in each pre-draw to enter the LIVE Birthday Prize Draw at 18:00 CET on 25th July 2018. Each player who will have entries to the main draw will be notified with the amount of tickets as well as provided with a link to the main draw. Prizes in the draw are: 1x €100,000 cash | iPAds | iPhones. Winners of the tech gadgets will receive an email with a link to an online shop where they can order their prize. Delivery will be via Fedex, a cash alternative is not available. The main prize winner will be contacted via email and/or phone and will have 72 hours to confirm.